Enhanced maneuverability is one reason people choose to drive motorcycles. However, the factors that make a motorcycle more maneuverable than a passenger car—their lightness, small size, and agility—also make a motorcyclist more vulnerable. Many drivers simply don't see motorcycles while changing lanes or merging with freeway traffic. It is easy for a driver to miss a motorcycle in a truck's blind spot, for example, or for a driver making a left turn to hit an oncoming motorcycle that engages in lane splitting to move to the front of a line of stopped traffic. Most often, motorcycle accident happens because somebody involved was negligent. An accident that might be inconsequential when two passenger cars are involved can be devastating when a motorcycle is involved. There are no layers of metal protection between a motorcyclist and a passenger car striking it. Even when a motorcyclist wears a helmet, he or she may suffer a brain injury after an accident. Catastrophic injuries are common in motorcycle accident cases. Those who suffer serious injuries or disabilities in a crash may have to change vocations. A motorcyclist who suffers a serious injury as a result of somebody else's negligence will likely need to bring a personal injury lawsuit to recover compensatory damages. The damages it may be appropriate to seek to include medical expenses, out-of-pocket expenses, lost income, household services, vocational rehabilitation, disability, loss of enjoyment of activities, and pain and suffering. 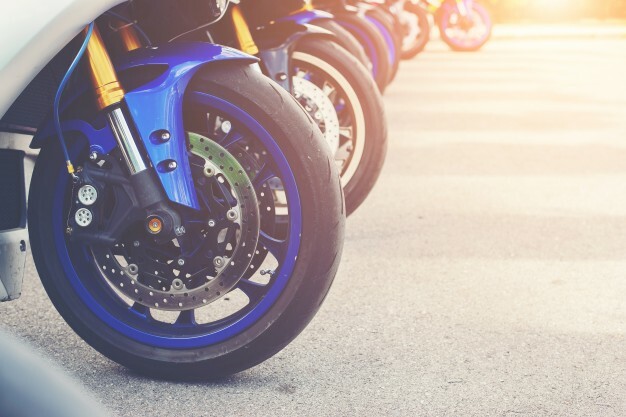 In motorcycle injury cases involving catastrophic injuries, it may be appropriate to retain multiple experts, including an accident reconstruction specialist, a medical expert, and an economist. What if the motorcyclist is partially to blame for an accident that causes him or her serious injuries? In states that follow comparative negligence, a motorcyclist can recover the percentage of damages for which he or she is not responsible. However, some states follow the doctrine of contributory negligence. In those cases, a motorcyclist who is found to be 1% or more at fault for an accident will be barred from recovering any of his or her damages. There are cases when nobody on the road was negligent. Sometimes, a manufacturing or design defect is involved. There are multiple motorcycles recalls every year. Among the possible defects are failing brake pads, leaking fuel tanks, improperly installed handlebars, or overheating engines. Most states recognize the standard of strict liability. In many situations, it is easier for motorcyclists to meet this standard than the negligence standard. A plaintiff trying to hold a manufacturer or seller strictly liable must show that the product was defective when it left the defendant's custody and that it caused the plaintiff's injuries. When a replacement part turns out to be defective, it may be appropriate to sue more than one party. For example, when defective brakes have been installed and a motorcyclist is injured, he or she may be able to sue multiple parties: the manufacturer, a repairman who installed a defective part or improperly installed the part, and any other at-fault driver whose negligence or recklessness required the motorcyclist to stop suddenly or swerve and brake.